Color correction included as a standard feature of multipurpose FOR-A signal processors enables independent color adjustment of each input channel. 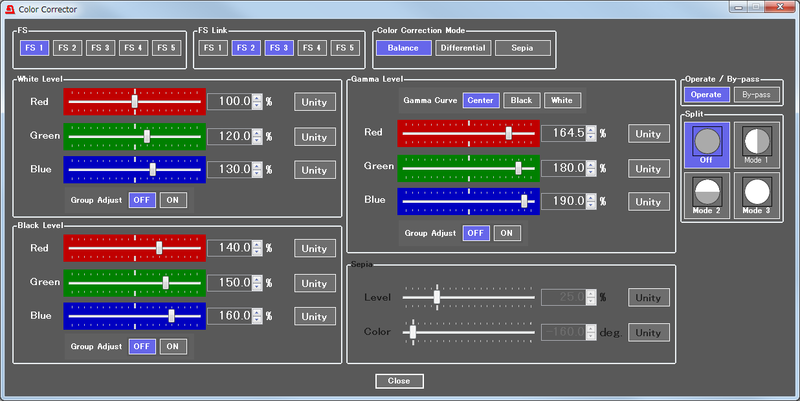 Choose from three intuitive color correction modes. Balance mode provides RGB color correction, Differential provides correction while maintaining white balance, and Sepia converts colors into monotone or sepia. In conjunction with these modes, the processors also enable gamma adjustment and can restrict brightness to within optimal levels, in consideration of clipping. Y/PB/PR and RGB clip modes are available.